Sustenance for the Soul – Concert on June 16th 2018! 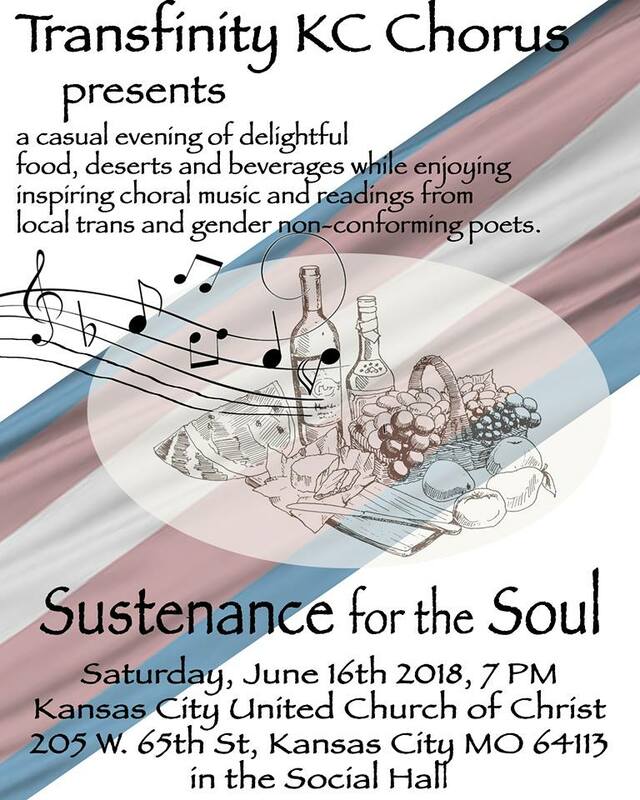 Transfinity KC Chorus will be holding their Spring/Summer concert this coming Saturday, June 16th, 7pm, at Kansas City United Church of Christ (65th & Brookside). There will be lots of food, wine, and singing, and a new addition to the repertoire – poetry readings by local transgender and gender non-conforming poets. You do not need tickets in advance, but you can make a donation at the door if you choose, to support the work of TKC. This entry was posted in Activism, Entertainment, Uncategorized on June 12, 2018 by .